Published: Jan. 12, 2017 at 09:46 a.m. 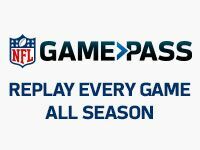 Updated: Jan. 13, 2017 at 10:39 a.m.
Their October matchup, a 26-24 Seahawks victory in Seattle, produced a fantastic amount of offense -- nearly 700 total yards between both teams -- and some excellent defense, with neither unit allowing better than a 36 percent third-down conversion rate. Julio Jones posted 139 receiving yards, Matt Ryan passed for 335 yards and Jimmy Graham paced Seattle's offense with nearly 100 yards of his own. Essentially it is what you'd hope for when two of the most complete teams in the NFL square off. Luckily, we get a second round and a little bit of drama, too. Falcons head coach Dan Quinn, a former Pete Carroll assistant, lost it on the sidelines in the fourth quarter of their last matchup after it appeared cornerback Richard Sherman dragged Julio Jones to the turf during a play. Jones was attempting to catch a pass that would keep the game alive for Atlanta late in the game. Sherman pointed the finger at Jones for some pre-snap shenanigans. Seattle, as expected, finished their season with moments of frustration and brilliance. They traded wins for loss each week from Nov. 20 through the end of the season, cycling through a laundry list of running backs and offensive role players thanks to a relentless streak of injuries. Atlanta has not lost a game since Dec. 4, and skated into the playoffs with a first-round bye. We can toss any common narrative we want at this game and could make it stick with enough glue. Revenge, master vs. teacher, Julio vs. Sherman (even though that does not come close to explaining the complexities of this passing offense vs. this secondary). In reality, the backstory of this game is that two good general managers cut from a similar cloth put together two very good football teams who are strong against the opponent's weaknesses. That works out in our favor and should produce one of the better matchups we've seen this winter. I hesitate to say Matt Ryan. Smart people will reject the narrative that he has something to prove to us because he's currently 1-4 in playoff games. Ryan himself said putting any worthless, extraneous pressure on himself coming into this game is just a waste of time. "I think that's one of the things that I've learned," Ryan said, via the Atlanta Journal Constitution. "All of the extra-curricular pressure, the outside noise that people talk about, doesn't make a difference. What makes a difference is how well we play. In order to play well, we need to practice well." But because people will go there despite this being a far different and far better Falcons team than we've seen since 2012, it is important to note that Ryan has thrown at least one interception in all but one of his playoff appearances. In three of his five playoff games, he threw for fewer than 200 yards. Now that we've gotten that out of the way, the last time Atlanta was in the playoffs, they ran into one of the deepest teams in recent memory -- the 2012, Jim Harbaugh-coached 49ers. In that matchup, Ryan went 30-of-42 for 396 yards, three touchdowns and an interception. That produced a quarterback rating for 114.8 and a yards per attempt average near 10. I'll put Ryan in this category because personally, I'd like to see us stop forgetting him when we discuss the best quarterbacks in football. Pressure, in this sense, translates to legacy and not allowing himself to get left behind in an era of very good quarterbacks. A Super Bowl win or appearance could do wonders for the casual fan that often forgets about the fantastic potential of this offense in Atlanta. "He hasn't backed off one bit trying to find that edge and continued improvement to get better," Falcons coach Dan Quinn said on NFL Total Access a few weeks back. "If he did win (the MVP), it would be an award we'd all be pumped about, because he'd want to share it with the entire offense." Kyle Shanahan vs. Kris Richard: We're fortunate to see two young coordinators, both in consideration for head coaching jobs this winter, battling it out twice a year. Playing against Kyle Shanahan when he has Julio Jones is like playing against a chess grand master with multiple queens. Unfortunately, playing against Richard is like spotting the same player an extra line of pawns. Shanahan's motion offense allows for so many great matchups for Jones, though an offensive version of the J.J. Watt strategy (line your best player up against their worst as often as you can) doesn't come close to defining what the Falcons have been able to do this season. Shanahan has used dummy routes, decoys and Matt Ryan's exceedingly high IQ to produce one of the most balanced attacks in professional football. The tandem's ability to identify weaknesses has been so pinpoint that it even led to the release of a Panthers cornerback earlier this season, Bene Benwikere, after Jones put up more than 220 yards against him. Atlanta is the only team to finish as a top five passing and rushing team this season and they finished just 22 yards per game shy of besting the Saints' arcade-style passing numbers. As for Richard, his version of the Legion of Boom seems more capable of sustaining a major injury like the one we saw to Earl Thomas back in December. The conductor, Richard was not only part of the inspiration for this fast, physical defense, he is the one that has to manage the personalities and expectations. Over time, we see great defenses crumble and fall apart. Seattle is one of the few I can think of that has been consistently great for so long while keeping so many of their key cogs engaged at a high level. Last week, we saw a good Lions offense nearly panic at their first sight of life beyond midfield. Seattle has a way of turning that on this time of year. In order for this to work, we'll need to get a second straight effective performance from Thomas Rawls, who broke Marshawn Lynch's postseason single game rushing record a week ago in a win over the Lions. Once Seattle has established him, all bets are off and our wish for a complete air raid is on. January is for sound defensive football, and we can all appreciate that. But lining up Ryan, Russell Wilson, Doug Baldwin, Julio Jones, Taylor Gabriel and the slew of potent weapons each of these teams have in a dome is simply an invitation to light the afternoon on fire. My prediction is that the Falcons get off to an unbelievably good start before slowly falling victim to Seattle's quick strike offensive components. The second half will be more or less evenly paced with just a few connections between Ryan and Jones making all the difference.